The Gaylord P. Harnwell papers were donated to the University Archives in 1973, 1981, 2004 and 2005. Gaylord P. Harnwell was born in Evanston, Illinois, on September 29, 1903–the only child of Frederick William, a lawyer in Chicago, and Anna Jane Wilcox Harnwell. He received his secondary education at Evanston Township High School, and was graduated from Haverford College, Haverford, Pennsylvania, in 1924. He studied physics at Cambridge University, England, from 1924 to 1925 and later at Princeton University where he received his M.A. in 1926 and Ph.D. in 1927. After his university training, Harnwell spent a year, 1927-1928, at the California Institute of Technology as a National Research Council Fellow before he returned to Princeton. He taught physics at Princeton from 1928 to 1938, first as assistant professor, and was promoted to associate professor in 1936. In 1938, he joined the faculty of the University of Pennsylvania as Professor of Physics, chairman of the Department of Physics, and director of the Randal Morgan Laboratory. 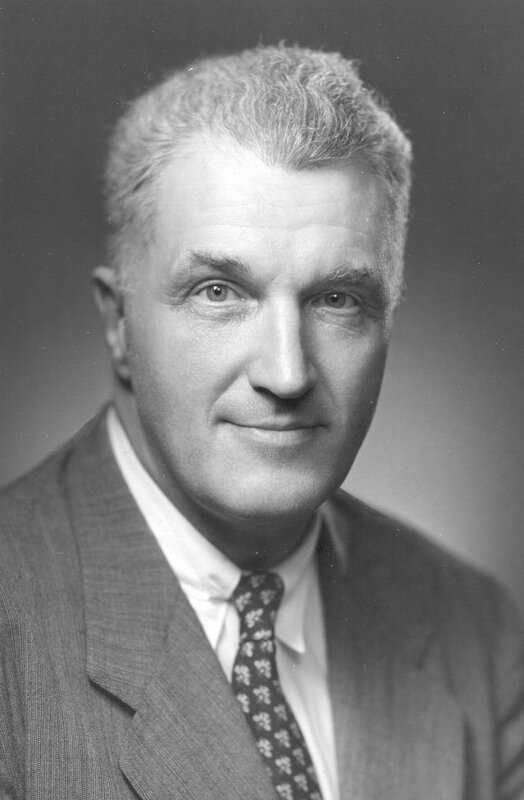 After the end of the war, Harnwell returned to the University of Pennsylvania and continued his work at the Department of Physics until he was elected president of the University in 1953. The University underwent spectacular changes during the seventeen years of his presidency from 1953 to 1970. The campus was expanded, many new buildings erected, and all major areas and programs strengthened. His administration has been acclaimed as a new milestone in the history of the development of the University. In addition to his Penn connections, Harnwell continued his services for the United States defense in the post-war years. He was chairman of the Ordnance Committee of the Research and Development Board of the Department of Defense (1951-1953), chairman of the Committee on Undersea Warfare of the National Research Council (1950-1955), elected to the Advisory Panel on Ordnance, Transport and Supply of the Department of Defense in 1950 and to the Advisory Board of the U. S. Navy Ordnance Laboratory (Silver Spring, MD) in 1953 and was a member of the Science Information Council of the National Science Foundation (1961-1965). In February 1958, he was appointed to a special advisory panel to the congressional Subcommittee on Military Applications of Atomic Energy. In September of the same year he received the Navy Distinguished Public Service Award for his contributions to the Navy in the field of scientific research and development. Until assuming his duties as President of the University, Harnwell was editor of three prestigious publications in physics– the “International Series in Pure and Applied Physics,” published by McGraw-Hill Book Company, The Review of Scientific Instruments, and Physics Today. He was author or co-author of many erudite books on physics, among them Principles of Electricity and Electromagnetism (1929), Experimental Atomic Physics (1936, with John J. Linvingood), Atomic Physics (1955, with William E. Stephens), and Physics: Energy, Matter, and the Universe (1967, with George J. F. Legge). In 1958, Harnwell joined a number of other prominent American educators for a tour of the former Soviet Union. The American delegation visited many educational and research institutions in the U.S.S.R. He published Russian Diary in 1960. In the summers of 1960 and 1961, at the request of the government of Iran and under the auspices of the United States Department of State, Harnwell visited Iran. The delegation he led studied the feasibility of establishing an America-type university in the city of Shiraz. In 1962 he published his account of the tour in the book Educational Voyaging in Iran. Pahlavi University, the newly-established Iranian university, developed a strong academic relationship with Penn during the term of his administration. Harnwell was member of many academic institutions, among them the American Physical Society, the Acoustical Society, the American Philosophical Society, the Newcomen Society of North America, and the National Education Association. He served as chairman of the American Council on Education from 1959 to 1960 and was a longtime member of the Board of Trustees of the Carnegie Foundation for the Advancement of Teaching. From 1965 to 1966 he was the first chairman of the Council of Presidents of Universities Research Association, Inc. He served on the Board of Managers of Haverford College from 1964 to 1981. Harnwell’s activities and achievements went far beyond the educational and academic circles. He was extensively engaged in civic and governmental affairs. He helped organize the West Philadelphia Corporation, which he served as board chairman for eighteen years. He also played a leading role in organizing the University City Science Center. A major goal of these two institutional initiatives was to improve the West Philadelphia neighborhood. He was also actively involved with the Greater Philadelphia Movement as a member of its board, and served as co-chairman for a number of years. In 1958 Harnwell became a member of the board of the Pennsylvania Railroad Company and continued on that board until 1970. The next year he was elected chairman of the Board and president of the Penn Central Company. From 1965 to 1968, Harnwell also served as Public Governor of the New York Stock Exchange. Other directorships included the Chamber of Commerce of Greater Philadelphia, the First Pennsylvania Banking and Trust Company, the Philadelphia CARE Committee, Rore-Amchem, Inc., the United Fund of the Philadelphia Area, the Food Distribution Center Corporation, the National Society of Scabbard and Blade, and the Institute for Educational Management (Boston). For government services, Harnwell served as chairman of Governor Scranton’s Council of Science and Technology in 1963, was elected to Governor Shafer’s Committee on Tax Administration in 1967, served as a member of the Governor’s Tax Study and Revision Commission from 1967 to 1968, and member of the Commonwealth Priorities Commission (1968-1970). He had honorary degrees from some thirty-four institutions of higher learning and was member of many honorary fraternities including Phi Beta Kappa, Sigma Xi, Sigma Pi Sigma, Alpha Epsilon Delta, Beta Alpha Psi, Sigma Tau Sigma, Alpha Phi Omega. In 1964, Harnwell was made Commander of the National Order of the Republic of Ivory Coast, and ten years later, won the title of Honorary Commander of the Order of the British Empire. He was also an Honorary Fellow of the Royal Society of Edinburgh. In May, 1965, he received the 42nd annual Philadelphia Award. After retiring from Penn presidency in 1970, Harnwell remained in service of the University for consultancy on development and planning, fund-raising and as an academic coordinator for the Penn-Pahlavi program. He also continued his contribution in civic and governmental services until he died in April, 1982. The first series consists of biographical material of Harnwell as represented in two bio files, a file of early job offers to him, a file of family tree, an interview about his life and career, and files of obituary material and memorial articles. Also included in this series is his thesis on physics completed when he graduated from Haverford College in 1924. The second series of personal correspondence, spanning from 1953 to 1981, concerns matters of personal or family interest. The third series contains all business correspondence, administrative or professional. This series has been arranged alphabetically by subject. Major entries of this series include files of an Asian trip in 1956, a cyclotron project for the Hospital of the University of Pennsylvania in the year of 1940-1941, a file of Foreign Policy Research Institute of the University related to a conference on transatlantic technological collaboration in 1967, files concerning the Graduate School of Education in the period of 1961-1964, files of Iran and Pahlavi University dating from 1960 to 1980, files of the Department of Physics of the University from 1939 to 1973, a file of the Philadelphia Award he received in 1965, and files of his work with the United States military services from 1944 to 1981. The series of Administrative files include a chronologically-arranged file of administrative correspondence from 1953 to 1967, a sub-series of Desk Calendar from 1960 to 1980, a General File arranged by the initials of correspondents running from 1960 to 1981, and miscellaneous files related to the history and administration of the University or other outside organizations Harnwell was associated with. Also included in this series is a file of loyalty investigation conducted in the year of 1952-1953 concerning a Penn faculty. The series of Addresses and Lectures has been arranged chronologically, running from 1955 to 1977. Also included in this series is a taped farewell speech Harnwell made to the University Senate in 1970. The sixth series is all of teaching and research files consisting of teaching notes or reference material related to various topics in physics. The files date from 1920s to 1950s. The seventh series consists of manuscripts and notes made by Harnwell including those that were later published in book forms–Atomic Physics, Introduction to Physical Science, and Principles of Electricity and Electromagnetism. Published articles and books are to be found in the eighth series, which includes, occasionally, correspondence related to specific publishing matters. Reference reprints in the ninth series comprise basically published articles of others that Harnwell collected for his reference. The tenth series is for records of civic or governmental organizations outside the University of Pennsylvania where Harnwell served at different times. Major organizations represented in this series include the Congress of World Unity, 1973-1975; Governor’s Committee on Tax Administration, 1959-1967; Governor’s Council of Science and Technology, 1962-1964; Governor’s Priorities Commission, 1968-1970; Governor’s Tax Study and Revision Commission, 1967-1969; Greater Philadelphia Movement, 1960-1975; Greater Philadelphia Partnership, 1975-1980; Committee on Undersea Warfare of the National Research Council, 1950-1979; New York Stock Exchange, 1965-1968; Penn Central Company, 1958-1974; and the University City Science Center, 1970-1981. Series XI collects awards, diploma and certificates Harnwell received. Series XII includes portraits of Harnwell and others as well as group photographs taken on various occasions. Series XIII is of memorabilia items including a plaque of award for the support of the study of Baltic Language and Culture, Harnwell’s name plate used in the New York Stock Exchange, a metal plate of appreciation from Penn students, and two academic hoods he used for graduation ceremonies at Princeton University. The fourteenth series holds all clippings, mostly from newspapers, that were originally collected by Mrs. Harnwell and pasted in bound scrapbooks. The clippings, running from 1938 all the way to 1971, record Harnwell’s life and work with Penn as well as the development of the University in multifarious aspects during the period. For records of the President Office when Gaylord P. Harnwell served as University President from 1953 to 1970, see the collection of UPA 4. American Educational and Historical Film Center. Carnegie Foundation for the Advancement of Teaching. Hahnemann Medical College and Hospital of Philadelphia. Pennsylvania Governor’s Committee on Tax Administration. Pennsylvania Tax Advisory Committee. Pennsylvania Governor’s Council of Science and Technology. Pennsylvania Governor’s Tax Study and Revision Commission. Philadelphia Committee on Foreign Relations. Royal Society of Arts (Great Britain). United States Department of Defense. Office of Ordnance Research. United States Department of Defense. Research and Development Board. United States Department of the Army. Ordnance Research and Development Advisory Committee. United States Department of the Navy. Naval Ordnance Laboratory Advisory Board. United States Department of the Navy. Office of Research and Inventions. University of California. Division of War Research. University of Pennsylvania. Dept. of Physics. University of Pennsylvania. Development Fund Committee. University of Pennsylvania. General Alumni Society. University of Pennsylvania. Pennsylvania Gazette. West Philadelphia Community Free School. Yale & Towne Manufacturing Company. Cornell University, president inauguration, 1977 Nov.
University of California Division of War Research, 1944-1947, including the award of Medal for Merit from President Truman, a certificate of appreciation from the National Defense Research Committee, etc. American Council on Education, “An analysis of US-Iranian cooperation in higher education,” 1976 Nov. Integrated Development Plan “Not many miles from the town,” n.d.
1961 Oct. – 1962 Jan.
Adams, vibrations of spherical conductors, n.d.
Axiomatic foundation of thermodynamics (following CARA [constant absolute risk aversion] theory), n.d.
Bateman, Harry, Integral equations, n.d.
Condon, Edward U., Quantum mechanics, n.d.
Condon, Edward U., vibrations, n.d.
Lecture notes, “Problems for electricity and electromagnetism,” n.d.
Wigner, Eugen, “Lectures on the Properties of the solid state,” n.d.
Haverford College experiment books for Engineering, n.d.
Haverford College experiment books for Physics 3 Laboratory, n.d.
Paper for Philosophy 5, “The group influence,” n.d.
Paper on “Submarine Physics,” 1947 Dec.
“Alumni honor the President and the Provost,” Pennsylvania Gazette, 1970 Feb.
“Engineering education and its place in the university, Eighth Congress of the universities of the Commonwealth, Report of Proceedings, 1958 Sept.
“Instrument education in the space age,” Instrumentation, Systems, Automatic Control, 1958 Dec.
“Our future in science,” Pennsylvania Gazette, 1955 Jan.
“Remarks of the retiring chairman,” The Educational Record, 1961 Jan.
“Toward a more effective contribution by colleges and universities to national leadership,” The annals of the American Academy of Political and Social Science, 1959 Sept.
“Towards the ’70s: seeking a ‘New model’,” Pennsylvania Gazette, 1968 Nov.
1964 Nov. – 1965 Feb.
1963 Oct. 16, visit to Washington D.C., with briefing material of the Department of Defense, etc. NASA Office of Advanced Research and Technology presentation, 1963 Oct.
Report of 1968 Dec. and invitation to Harnwell for the General Assembly meeting, 1969 Jan. Final long range report, 1968 Dec.
Minutes and correspondence, 1975 Jan. – Sept.
Minutes and correspondence, 1979 July-1980 Sept.
Minutes and correspondence, 1980 Oct. – 1981 Oct.
National Conference of Christians and Jews, National Human Relations Award, 1970 Dec. Album, mosques and other architectures in Iran, n.d.
Pennsylvania Railroad Company, directors, n.d.